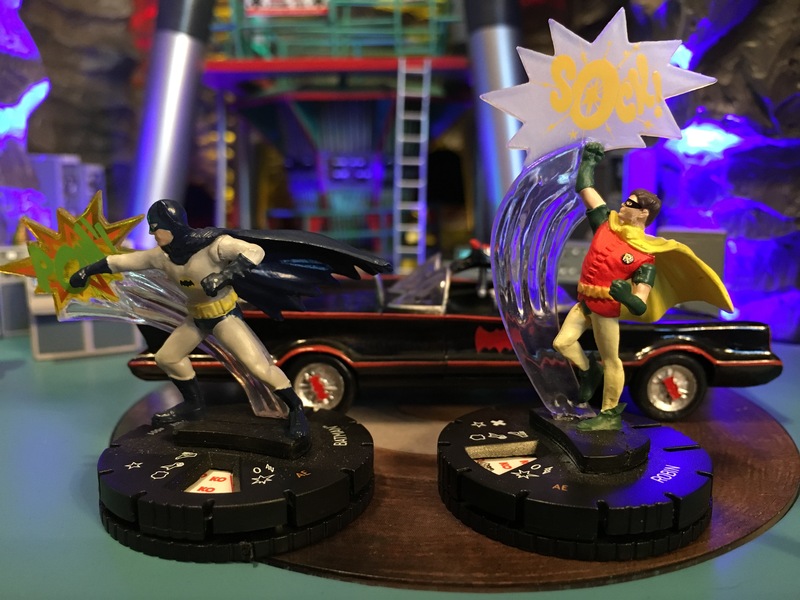 With 13 NEW PIX of one of the greatest Batman ’66 collectibles ever. 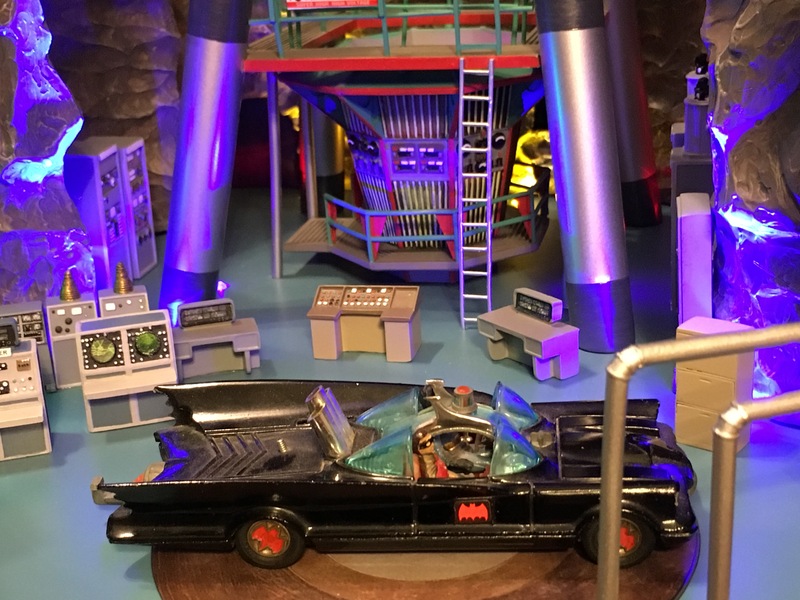 For the complete FACTORY ENTERTAINMENT 1966 BATCAVE Index of news stories and features, click here. 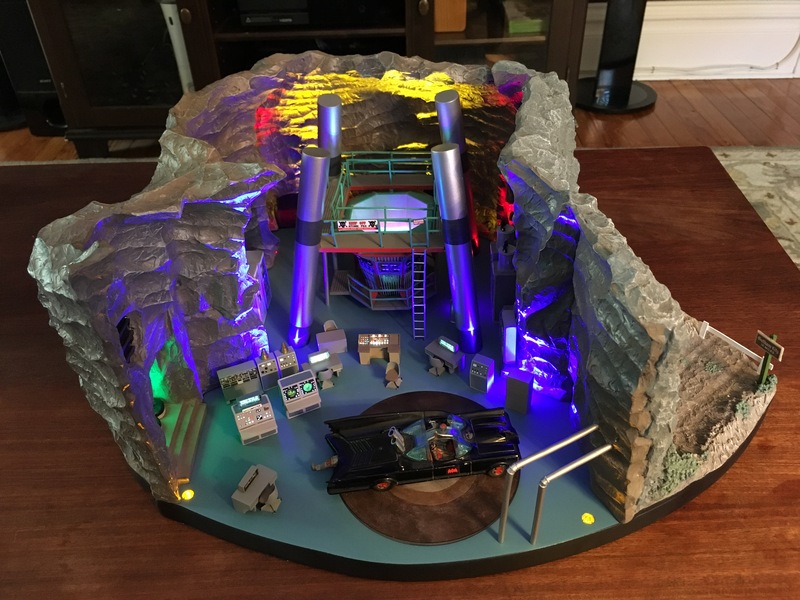 It’s been awhile since we’ve taken you on a tour of Factory Entertainment’s upcoming 1966 Batcave sculpture, but now’s the time to return to this magnificent miniature version of Batman’s headquarters. Why now? For one thing, Factory has finalized its prototype, with two sets of lighting systems and a variety of stationary and mobile furniture. For another, Sept. 30 is the deadline to pre-order from Factory itself. And once orders are closed, they’re closed. Given the expense of the item — $799 — the company is determining production size by the number of orders. Unlit, in raw form. Note the items that you can move and those you assemble. 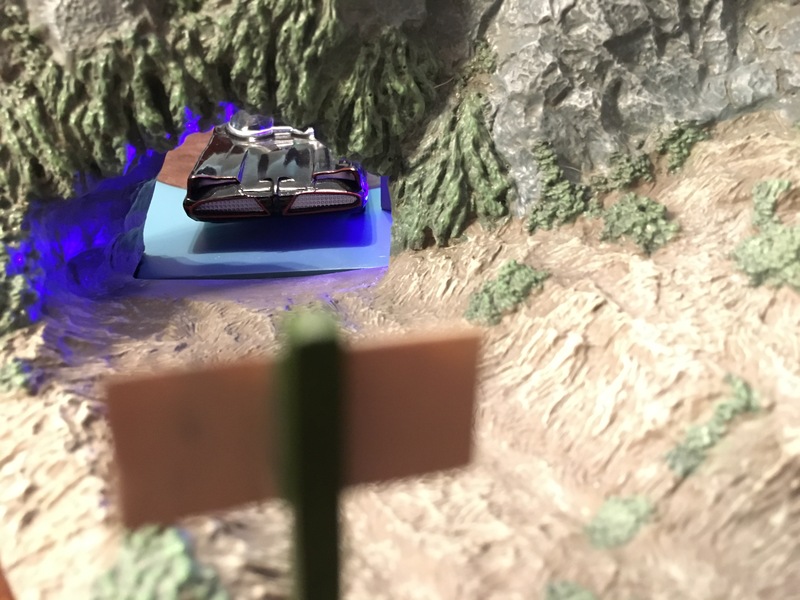 — And, whether fans would be willing to buy an accessories pack including miniature figures and other items. Fully lit, with regular room lighting. 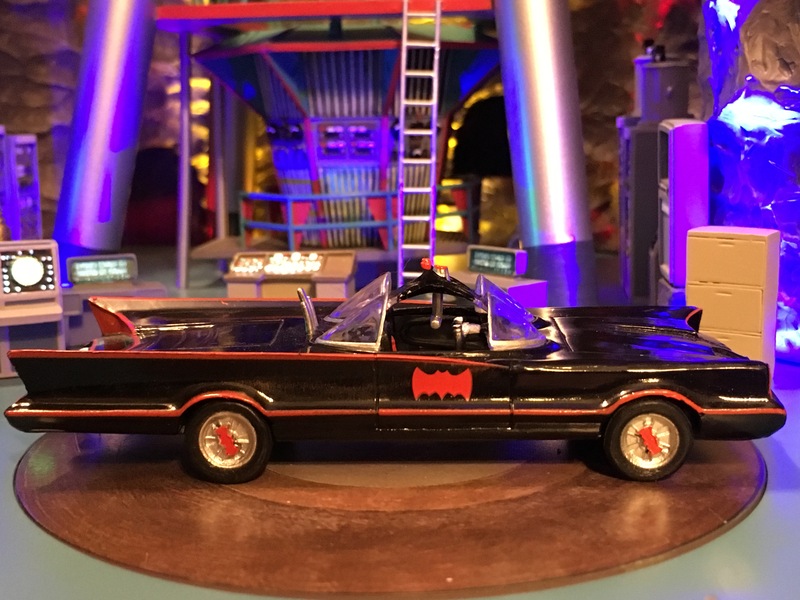 Vintage Corgi Batmobile not included. We’ve got your answers below. 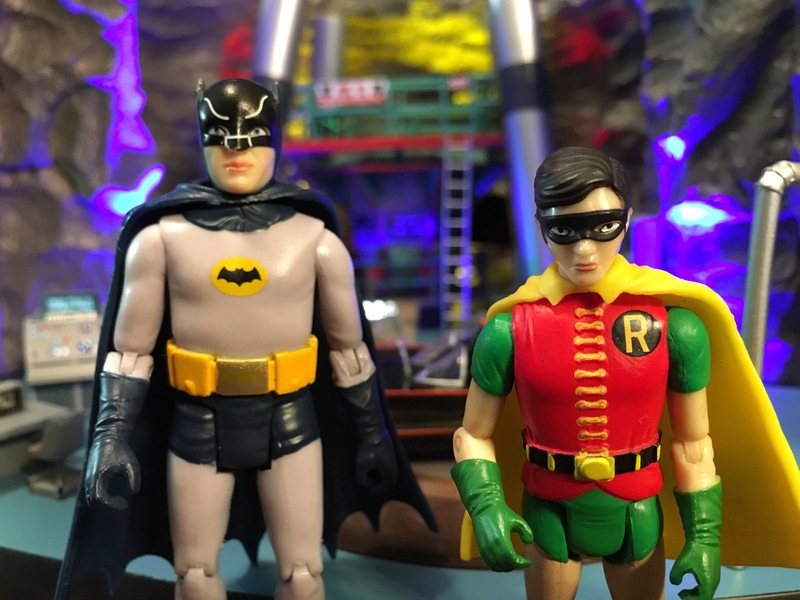 Not only that, I had a chance to pore over the prototype and these 13 brand-new photos give you a really strong sense of what’s destined to become one of the greatest of all Batman ’66 collectibles. 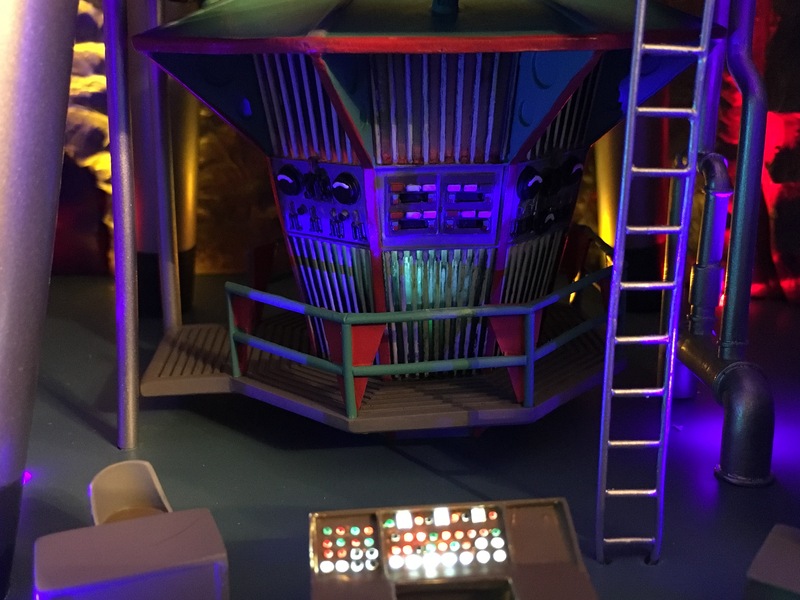 This model was shown off at San Diego Comic-Con, where fans were able to get a glimpse. But this is, hands down, the most detailed look at the model you’ll find anywhere. — This baby is heavy, weighing in at about 20 pounds. Its dimensions are 18” x 14” x 9”. — There are two sets of lighting schemes that can be used alone or together. 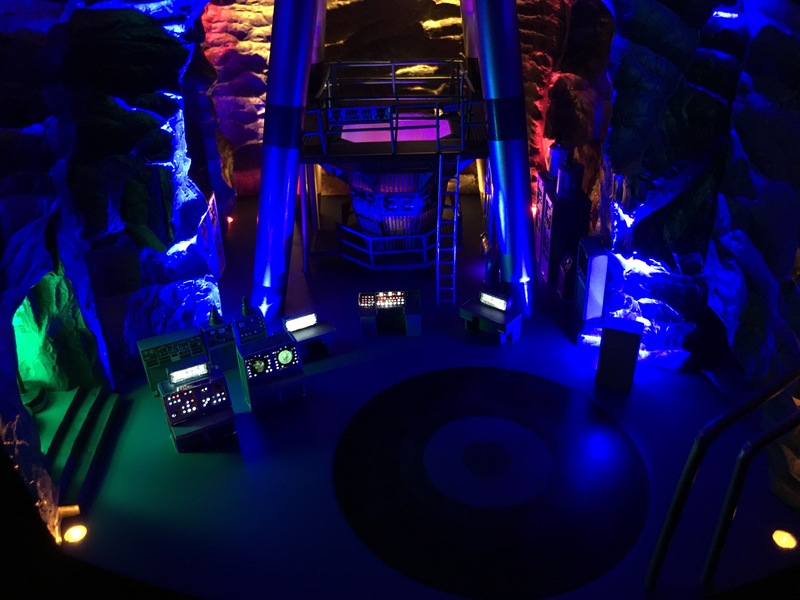 One circuit handles the atmospheric lighting, including the atomic pile — which features a rotating light pattern — while the other covers the Bat-equipment. — It’s powered by six AAA batteries but the final version will also include a cord should you prefer to plug it into the wall. Fully lit, in a darkened room. Fully lit, in a partially darkened room. Unlit, in a lighted room. 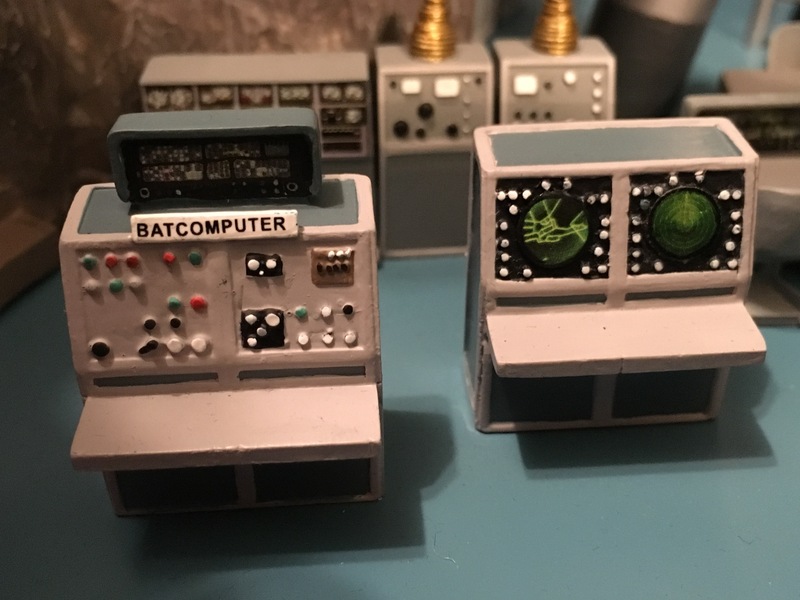 — Some of the furniture, like the Batcomputer itself, is stationary and wired for light. Other items can be moved around at will. The lights blink on and off — but they’re not in sync, giving the illusion that each piece of machinery is independent of the other. — The Batmobile’s turntable is operated manually. 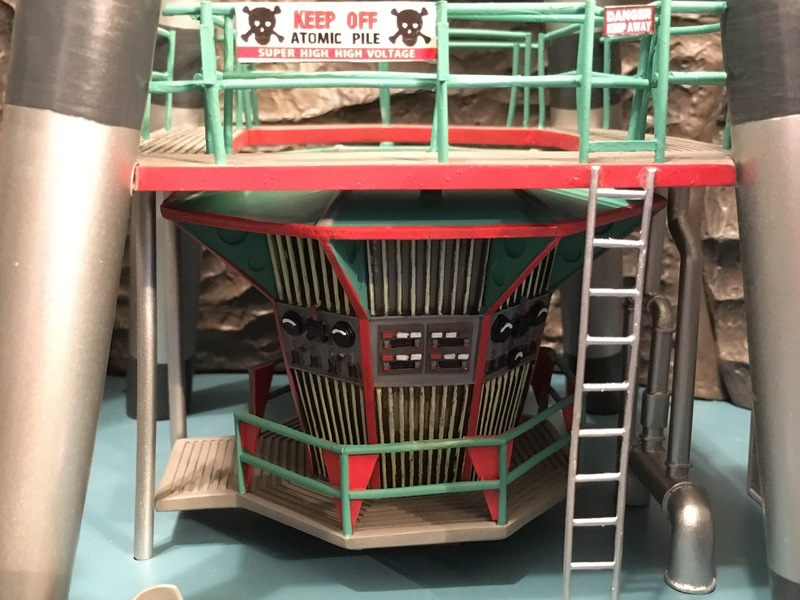 Factory Entertainment creative director Barry Eldridge said they tested a mechanized one but the laws of physics kept pushing a 1:50-scale Batmobile (not included) off the platform. — But minifigures? Time will tell. 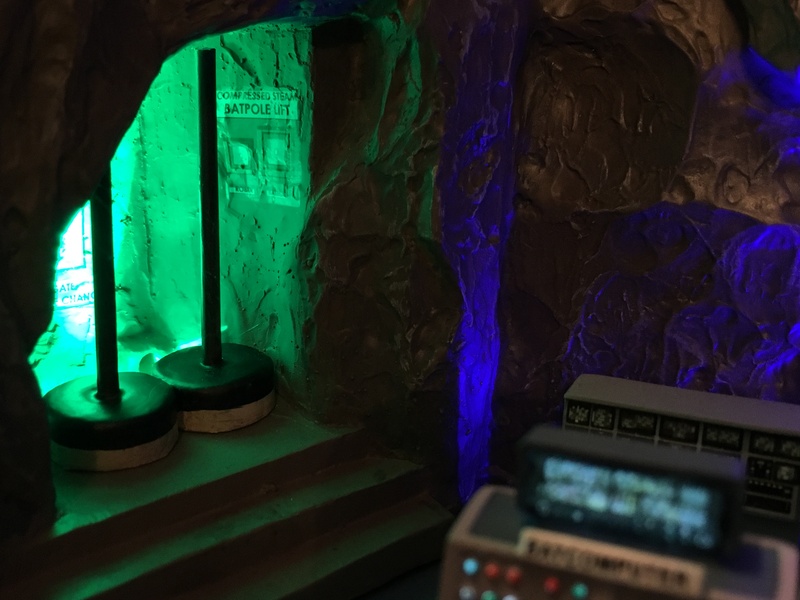 In the meantime, I tested out the Batcave with some Funko figures and HeroClix, just for fun. 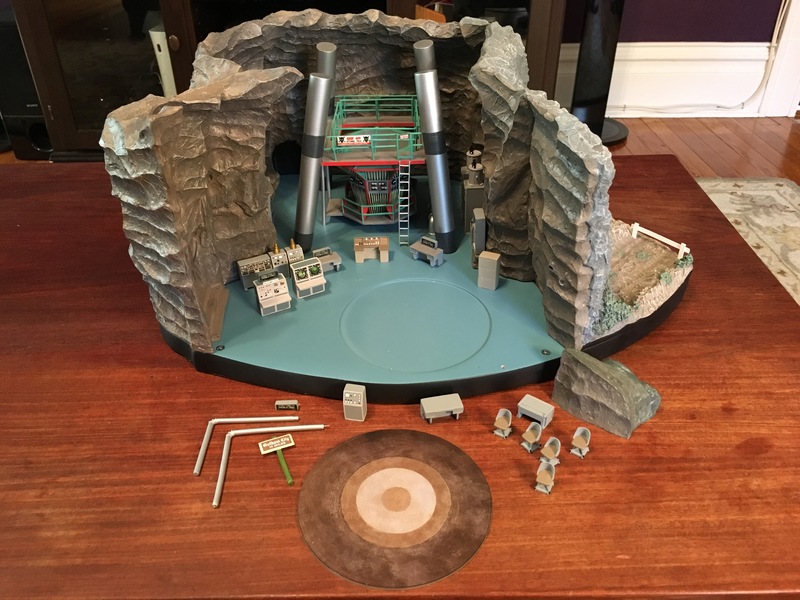 The latter two are much closer to the Batcave’s scale, obviously. 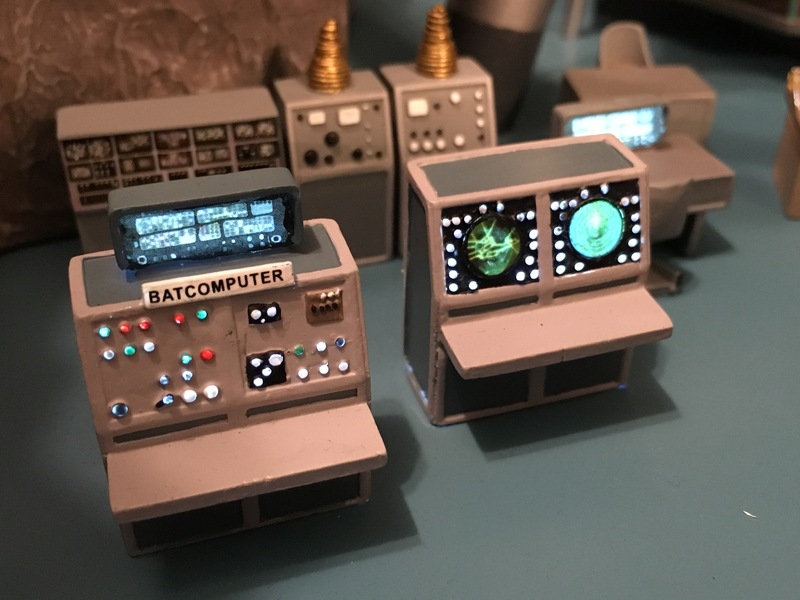 Now, we’ve got much more to come on the Batcave in the coming weeks, including EXCLUSIVE videos, a special episode of The Batcave Podcast and more. You can find all our coverage in the link below. For the turntable, what if only the inner ring of the table turned, thereby avoiding contact w/ the tires. And as the 2nd part of the process, have the inner ring elevate up and down just a bit to lift & apply pressure to the underside of the Batmobile while it rotates?